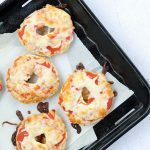 Craving that cheesy crunchy snack? 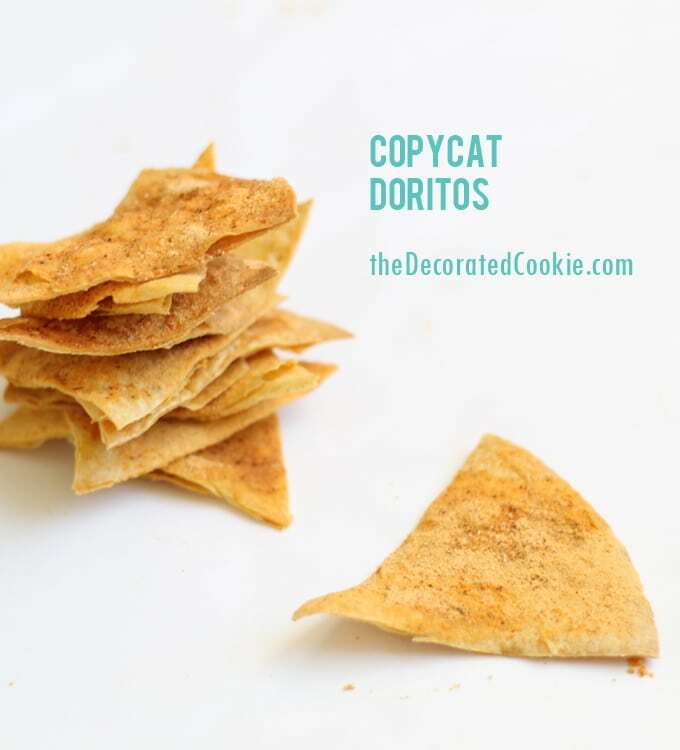 This copycat version of Doritos is the answer. I have a weakness for Doritos. Oh Doritos. Why must you beckon me with the promise of orange-stained fingers. Your crunch. Just the right spice. And the glorious cheese. My 8 year old and I are addicted. We walk by the bag in the store and look at each other knowingly. And then later she asks for some Doritos and I admit I ate them all. I just couldn’t stop. 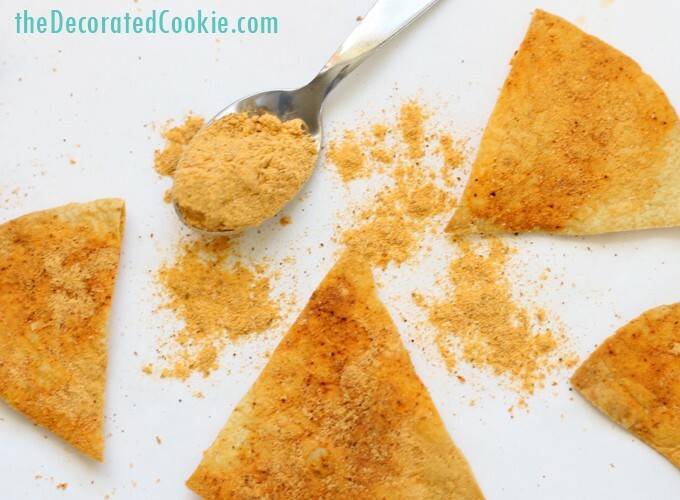 These homemade copycat Doritos are not going to fool you completely. I mean, if you did a blind taste test, you’d tell the difference. But they have all the same flavors and come pretty close. And the best part about homemade is that you can control the taste. 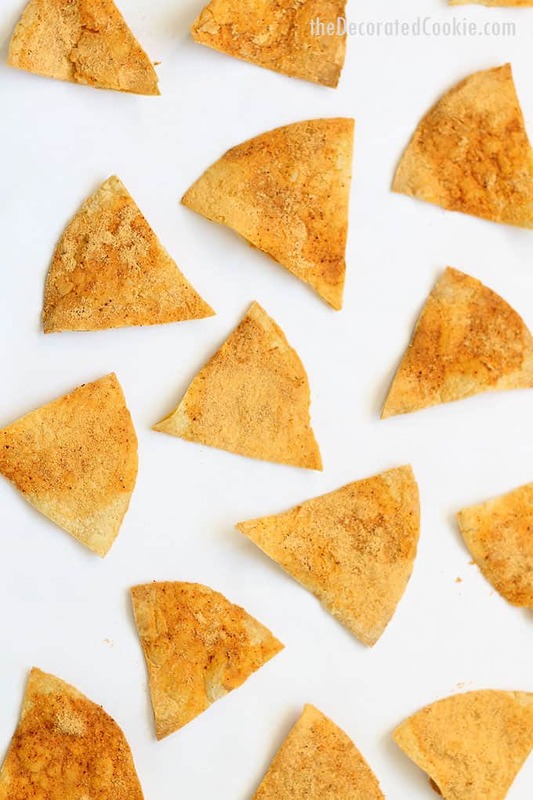 To make copycat Doritos, make a cheese powder to add to chips. So you can add whatever you like to the cheese powder. Want more spice? Add more chili powder. More salt? Go for it. 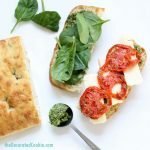 Want to add some dry ranch dip mix? I’m a Doritos purist, but you may be into Cool Ranch. Add onion powder, dried herbs, more garlic powder. It’s a Doritos free-for-all. For the chips, I made my own from store-bought corn torillas. 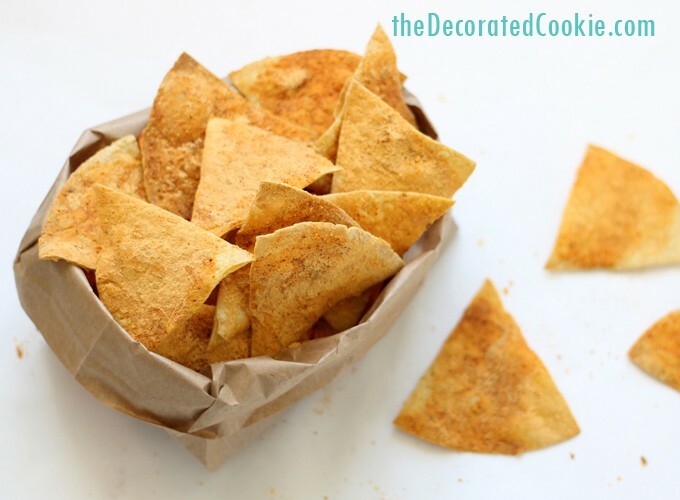 You can use flour tortillas for a denser chip. 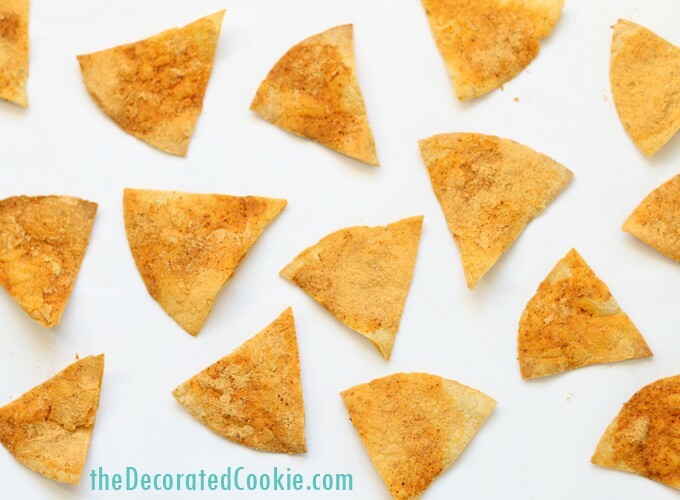 You can also use store-bought tortilla chips as a base, which would come even closer to the real thing. Or sprinkle the cheese mixture on breadsticks, popcorn, crackers. Let’s turn the whole world into one big Dorito. 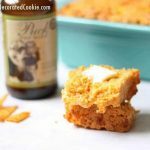 You’ll need cheddar cheese powder as a base. You can buy this online. Or, the supermarket sells small containers (one container is plenty for the recipe here) of cheese powder near the popcorn. Just note that the white cheddar powder, if that’s your choice, will alter the taste a bit. Alternatively, you can buy a box of macaroni and cheese and use the package of cheese in there. One package is about ¼ cup which is the amount used in the recipe. Luckily for me, my girls don’t like the cheese part of macaroni and cheese, so I can take the cheese packet for Doritos and cook the noodles for them. Waste not want not. 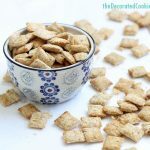 You can also find this recipe on Food Fanatic, where I create homemade versions of store-bought snacks and treats. Oh, Doritos. We call them Satan chips in our house. They are just too damn good. Oh my gosh, Satan chips. I love it!